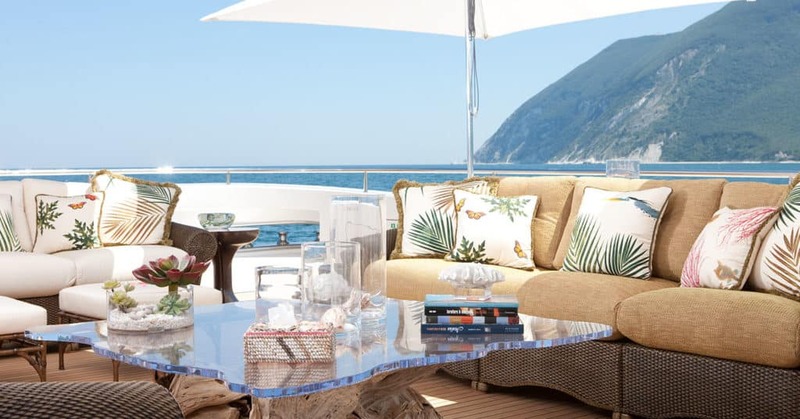 When designing for luxury, one can not forget about practicality, and often it is a designer’s responsibility to incorporate practical function with the aesthetic form, particularly when it comes to the “confined” spaces of a superyacht. Take for instance the idea of high-quality, fashionable materials being used in a space. While we always want the room to have a decadent feel, the investment in these luxury materials only makes sense when they are also easy to clean, and in the case of the deck areas, weather / water resistant. Photo courtesy of Kristina Strobel.